Sony has uncharacteristically announced its PlayStation Plus lineup for November early, with Yakuza Kwami and Bulletstorm: Full Clip Edition headlining the program. It’s the end of the month, and you know what that means free g-… oh. It isn’t the end of the month. Actually, October just started but it seems Sony wants to get ahead of the curve this month, with them already announcing their PlayStation Plus line-up for November. It looks like a good line-up too. The announcement was spotted by Nibel who noticed an ad banner on the program’s website showcasing all the games we will be getting for free if you subscribe to PlayStation Plus. This month is headlined by Yakuza Kwami and Bulletstorm: Full Clip Edition. 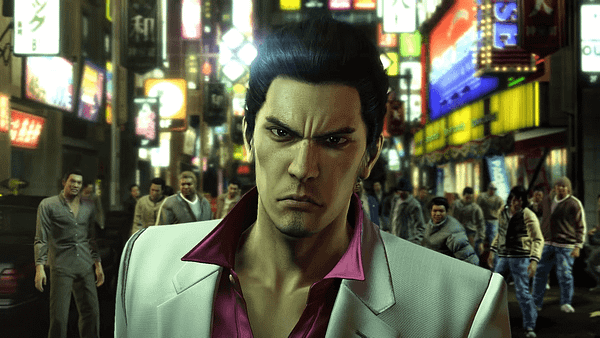 It’s great to see a recent Yakuza coming to players as it could well open up the playerbase for the series. I think many mainstream players may have heard of its off-kilter charm pf the franchise but not been confident to put money down on it. Hopefully now, with the barrier gone, others will come in and experience it. On top of that, Bulletstorm is the totally opposite side of the spectrum, but still a game with comedy and bizarreness throughout. Taking a distinctly Western sensibility to its furthest, with a bloody slapstick first-person shooter. It’s good mindless nonsense. In a way, these two games are entirely different but tied to their culture of development. Each have a quirk and weirdness to them that is either distinctly Eastern or Western, and they make a fun pairing. Have fun when they come around at the start of next month.